The 37th Hong Kong Film Award presentation ceremony will take place on April 15 at the Cultural Center. Yesterday at a press conference the live broadcast right was announced to be awarded to Viu TV. Hong Kong Film Award president Derek Yee Tung Sing, vice president Leung Lee Siu Ha, last year's Best Actor Gordon Lam Ka Tung and Best Actress Kara Wai Ying Hung showed their support. Although the nominations would not be announced until February 6th, Wai Ying Hung said that Ka Tung would be nominated again. Wai Ying Hung was asked if she was confident that she would be nominated again? Sister Siu Hung said that right now is the first round of voting, but she did not vote for herself because she had to be fair. Siu Bo said that this would be the first year Viu TV will broadcast live. Some asked if the collaboration with TVB was upsetting. He said that of course not, since the past few Hong Kong Film awards were very exciting. However Hong Kong Film Award was a government financially assisted project and required biding. Thus it went to the highest bidder. Was he worried that Viu TV lacked experience? Siu Bo said that Viu TV's colleagues worked in this business. In addition this year the discussion and preparation were done earlier so they should not have much problems. As for special segments this year, Siu Bo said that he could not say yet but he was looking for a new host -- another selling point this year. Last year Ronald Cheng Chung Kei's hosting and performance received good reviews. This year would follow this format. 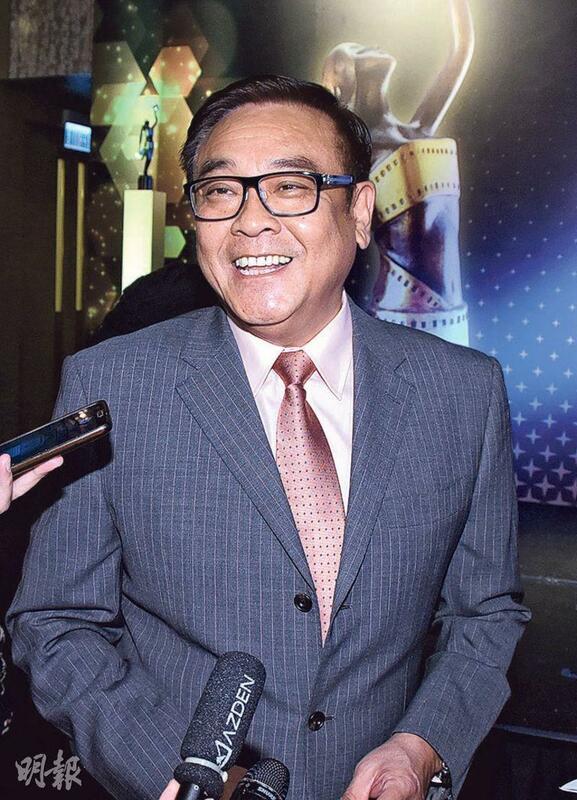 In addition Siu Bo mentioned that the past few Hong Kong Film Awards added many new screenwriters and directors, as the creative team increased to over 20 people. His term was two years. After the 38th Hong Kong Film Awards in 2019 he would complete it. He hoped the creative team would be younger as new comers would take the baton. Last year's Best Actor and Best Actress Lam Ka Tung and Wai Ying Hung attended the press conference. Sister Siu Hung said that time flew, as she felt like she just won yesterday. Perhaps as she grew older a year went by like a month. Ka Tung admitted that whenever he heard the Hong Kong Film Award music he would be very moved. Even in the audience he would think of the joy of holding the statuette. Now Hong Kong Film Awards is in its first round of voting. Sister Siu Hung this year had MRS. K and hoped that it would be nominated; Ka Fai also made many films but whether they would be nominated the voters would determine that. Sister Siu Hung cheered him on. "You definitely will be one of the final five!" This year Ka Tung and Sister Siu Hung both had their favorites. Both very professionally took time to watch all the films before voting. Sister Siu Hung said, "If I vote without watching, I would owe whoever I miss!" However voting for the Hong Kong Film award was more comfortable. Sister Siu Hung was on the Golden Horse Award jury. She had to watch over ten films a day before she returned to the hotel and was not permitted to leave. Ka Tung said that this year the Asian Film Award invited him to be on the jury, but he turned it down because he had to watch all the nominated films in 12 hours. Although it would very fair and just, he felt that the schedule would be too tight. However Sister Siu Hung said that being on the jury you could discuss with other members. During voting some arguments would appear, but a happy discussion would be rather enjoyable. Recently Yee Tung Sing was rumored to have a 2 year old baby. Yesterday reporters congratulated Siu Bo. Siu Bo at first did not want to talk about his family at this event, but later he generously talked. "The feeling of becoming Papa is rather great. Because before Mama passed, I already decided not to have children. In addition the family has many next generations. Having children is a responsibility, and I was pursuing freedom!" However Siu Bo said that sometimes after spending a lifetime to control himself, in the end he realized that he could not. "What happened to my wife and I, in my life and in my relationship definitely wouldn't be as exciting as a TVB series. I have some regret with my ex wife. We were together for over 20 years and married but we weren't able to reach the end. Two people might not necessarily get closer. They could get more and more distant." Siu Bo said, "When the new life came I wasn't able to accept it, later I realized that if I couldn't resolve it then I couldn't do anything. I had to face it, accept it and handle it. Last month I just turned 60. I looked back at my years of hard work in this business, many goals have been reached, but I still was thinking about the meaning of life and I would feel lost. I still have to keep going. Maybe Heaven gave me the responsibility for me to have a new experience. Even with all the children at home, they were different from my own. In her growing process I have new surprises, and I learn anew from at the beginning of not really want it to now accepting the new life." 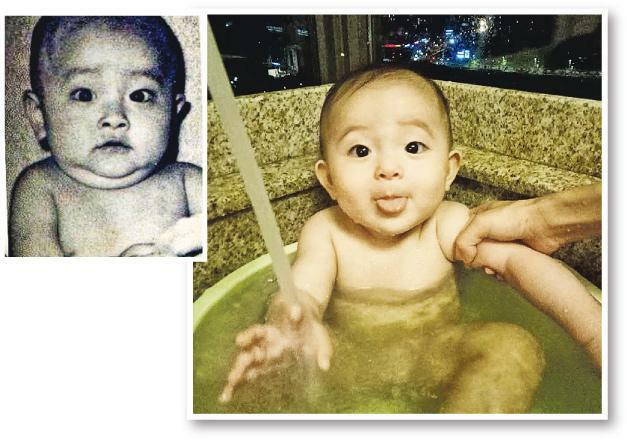 Siu Bo revealed that her daughter is 25 months old. Was his girlfriend I AM SOMEBODY's Wang Ting? Siu Bo said, "Definitely no. She is an outsider. I try to keep her and the child from exposure, but now the child is starting to grow. So I only show everyone her photos from when she was little." Siu Bo also said that his wife and daughter have foreign passports and would come to settle in Hong Kong at the end of the year. Thus he did not want to hide and hoped to be able to normally take his daughter to Disney and Toys R Us. Later when the arrangement was done he would publicize it. Was his girlfriend much younger than him? Siu Bo joked, "More on next episode."